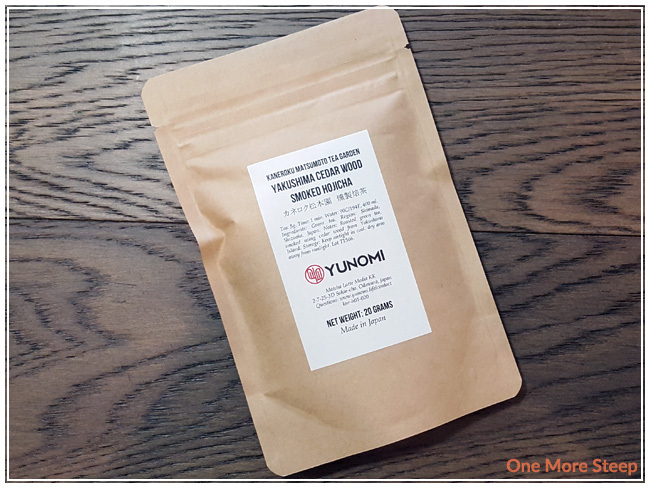 Yunomi has provided me with Yakushima Cedar Wood Smoked Hojicha for the purposes of providing an honest review. Yakushima Cedar Wood Smoked Hojicha came to me in resealable kraft paper bag. This green tea comes from the Kaneroku Matsumoto Tea Garden, one of the things that I realy like about Yunomi is that they list the tea gardens that their products come from – so it’s super easy to figure out the specific tea farms that each tea comes from. When I opened the bag, I was greeted by the smokey aroma of the tea. There are a lot of short twig pieces that are mixed in with the tea leaves. The smoke aroma isn’t as astringent as a lapsong souchong, if you’re familiar with that smoked tea. Yunomi recommends steeping Yakushima Cedar Wood Smoked Hojicha in 90°C (194°F) water for 1 minute. My initial steep was for 1 minute in 91°C (195˜F) water. Yakushima Cedar Wood Smoked Hojicha steeps to a beautiful golden orange in a very short period of time. There’s a strong smokey aroma to this tea. On first taste, I notice that beyond the smokey flavour is a touch of bitterness and a mild astringency at the end of each sip. The aroma reminds me a lot of liquid smoke – I think it’d be a great tea to use in cooking to add some depth of flavour (e.g. to a barbecue marinade). 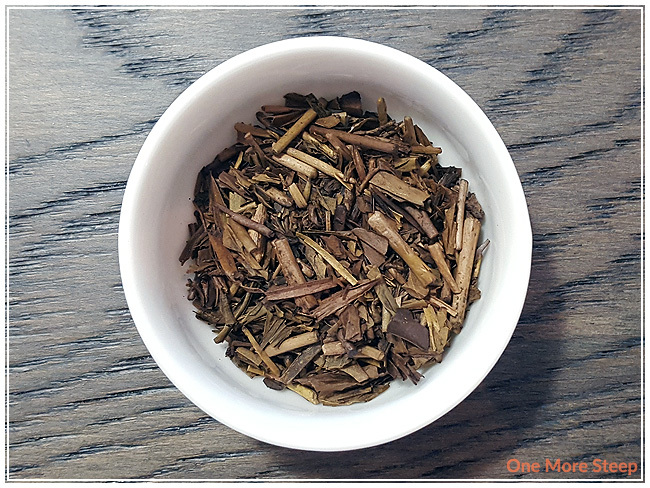 I resteeped Yakushima Cedar Wood Smoked Hojicha twice, adding an extra 30 seconds for each subsequent steep. I found that the flavour remained consistent throughout. I think it would have held up for a few more steeps. I thought that Yunomi’s Yakushima Cedar Wood Smoked Hojicha was just okay. 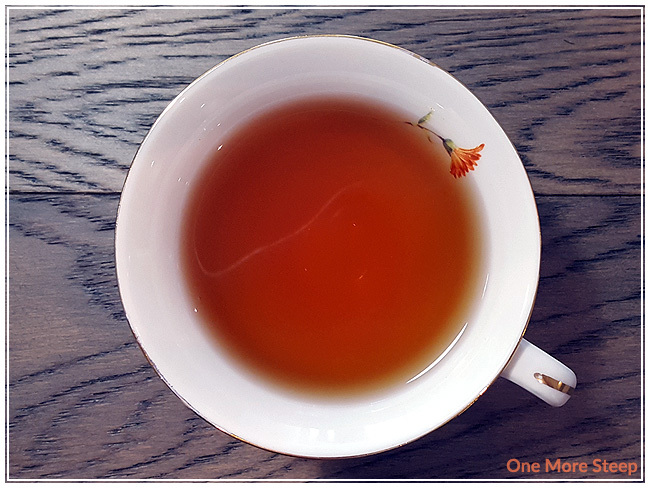 I think if you love smokey flavours, this would be a great tea for you. I personally prefer more floral notes, which is why it’s just not a favourite for me. I can definitely see myself utilizing the tea in cooking though, to add a bit of liquid smoke flavour to a dish. The smokey flavour is strong, and this tea could probably be steeped for less than 60 seconds if you’re sensitive to bitterness in teas. 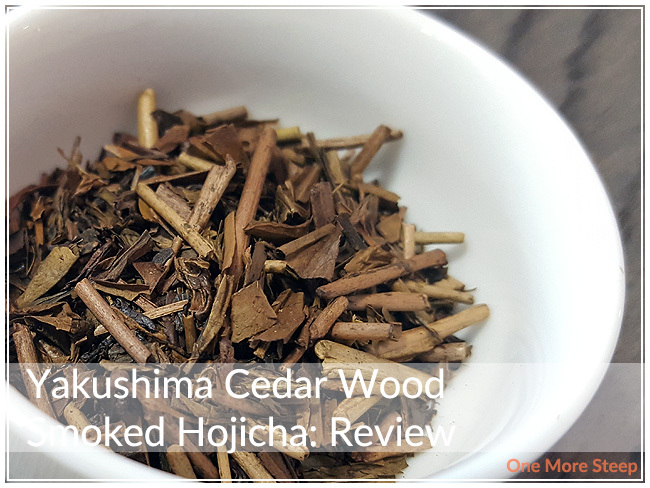 I think that the aroma and taste of Yakushima Cedar Wood Smoked Hojicha match very well, so if you’re a fan of smokey teas, give this one a try!